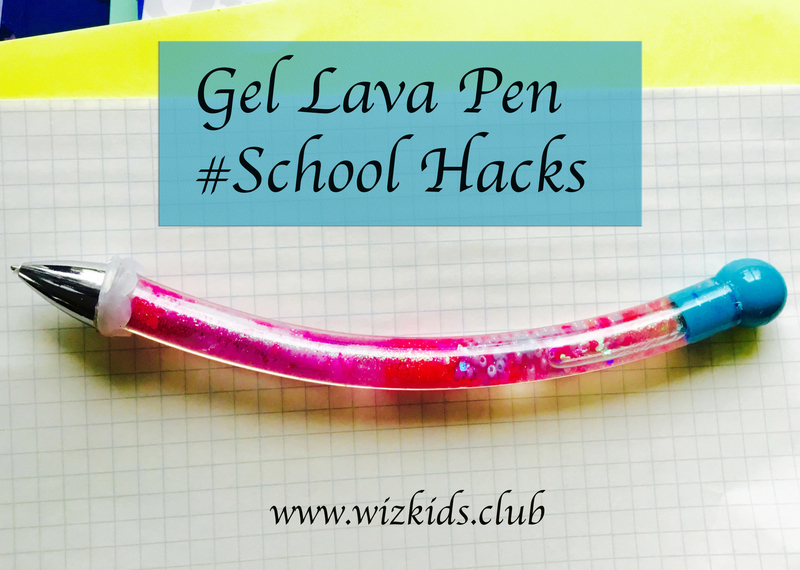 Gel Lava Pen for School! Want to make a pen that makes you totally stand out and is unique in your class? Here is how you can use PVC pipes and make a cool pen for school! Author SUMITA MUKHERJEEPosted on November 24, 2016 November 24, 2016 Categories UncategorizedLeave a comment on Gel Lava Pen for School! First, we need to make the circuit. Connect the battery to the motor and the switch to the motor. Then connect the switch and the battery. The motor should run when the switch is pressed. Take the ink refill and insert it to the motor. Check if it works. Now make a hole right at the centre of the cardboard box. Insert the refill through the hole and glue the motor to the box with hot glue. Let it dry. Once the glue has dried, it’s time to test the motor. Cut the extra ink refill leaving behind only 1 milli meter stick. It should spin! Take the cardboard and cut out 2 circles of diameter 1 inch. Glue them together. This will be the base on which the ballerina will stand. Make a hole right at the centre of the cardboard circles. Insert it into the ink refill stick. Now test the base. Cut out a circle from the shiny paper and stick it to the base. This will be the skirt for the ballerina doll. Take the dancing ballerina and glue it to the skirt. Now it’s time for the big reveal! Are you ready? 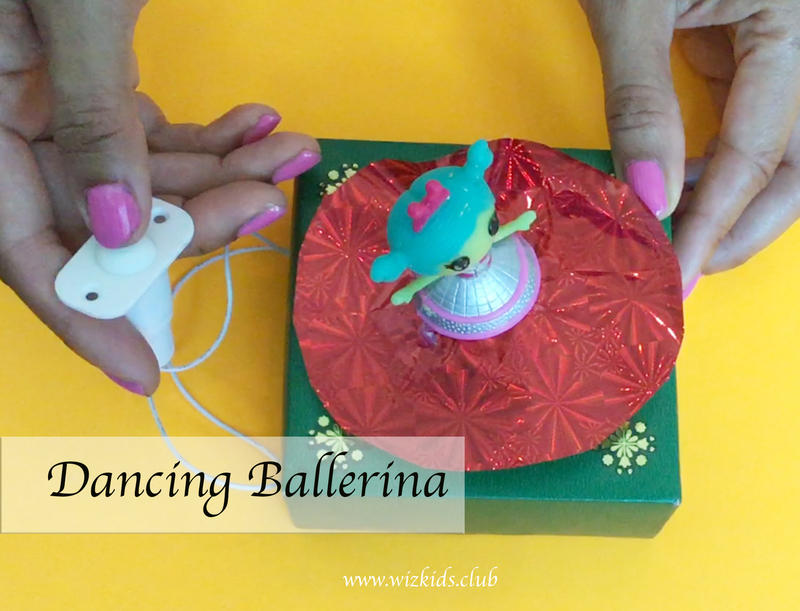 Press the switch and see her twirling and dancing to your tune! 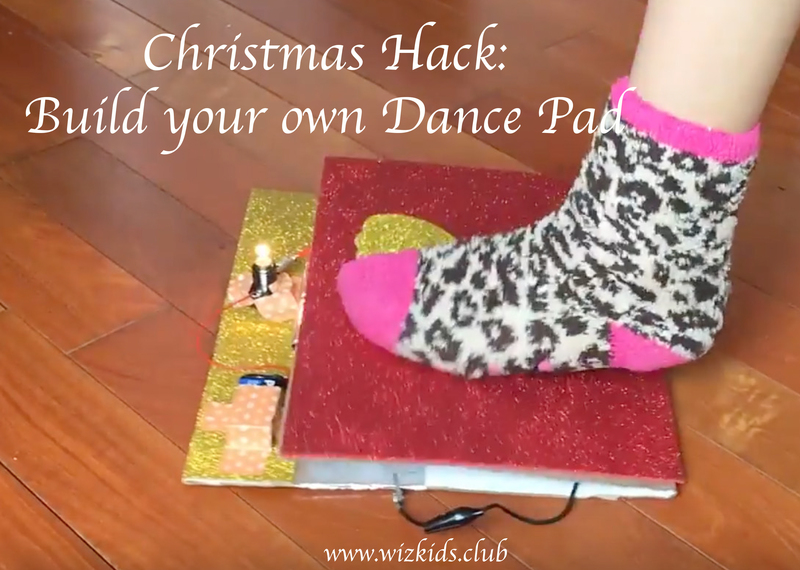 Christmas Hack: Build your Dance Pad! Christmas is the time to sing and dance, make merry and have lots of fun with friends and family. What if we could bring few extra smiles by building our own dance pads and dancing with family? Light up a heart with each tab and dance away to glory. This is how you could easily build one at home. Author SUMITA MUKHERJEEPosted on November 22, 2016 November 24, 2016 Categories UncategorizedLeave a comment on Christmas Hack: Build your Dance Pad! Have fun making your own zip-liner and have a blast zip lining your toys or notes from one point to the other. 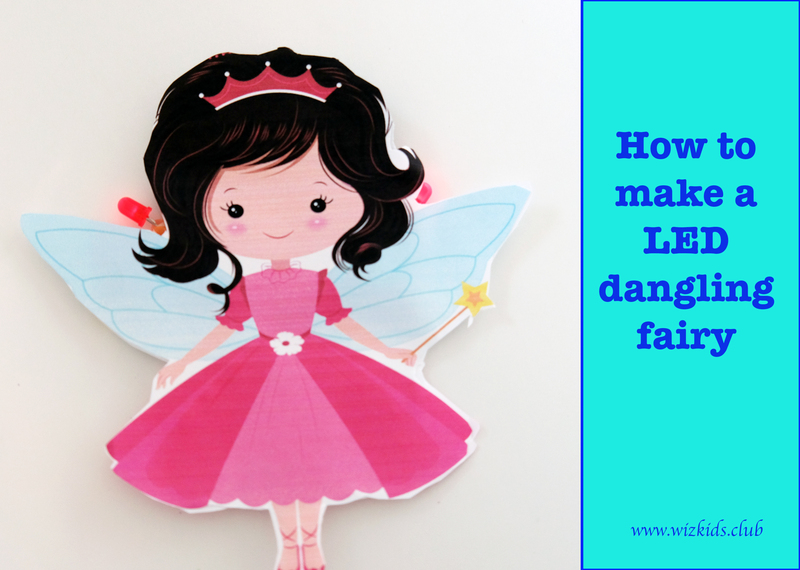 With the festivity in the air, make your LED dangling fairy in few steps and light up every nook and corner of your house. 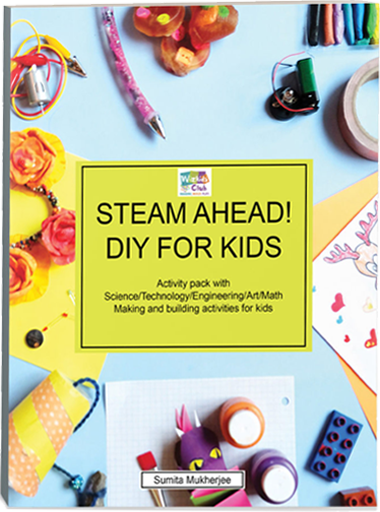 Fun to do with kids and an amazing way to teach them about circuits and electricity. Print and cut out 2 Fairies from the template below. Take one LED and one 3v coin battery. Make the legs of the LED touch the battery. It should light up. If it doesn’t , simply flip the battery. The positive leg of the LED should be in contact with the negative surface of the LED battery and the Negative leg should be in contact with the positive side of the battery. Tape it so that the LED remain glowing. Do the same for the other LED and battery. Using the glue stick, take the LED sets and stick them next to the Fairy wings as shown. Stick the 2 templates together. Now hang it up on your Christmas tree or anything that catches your fancy! 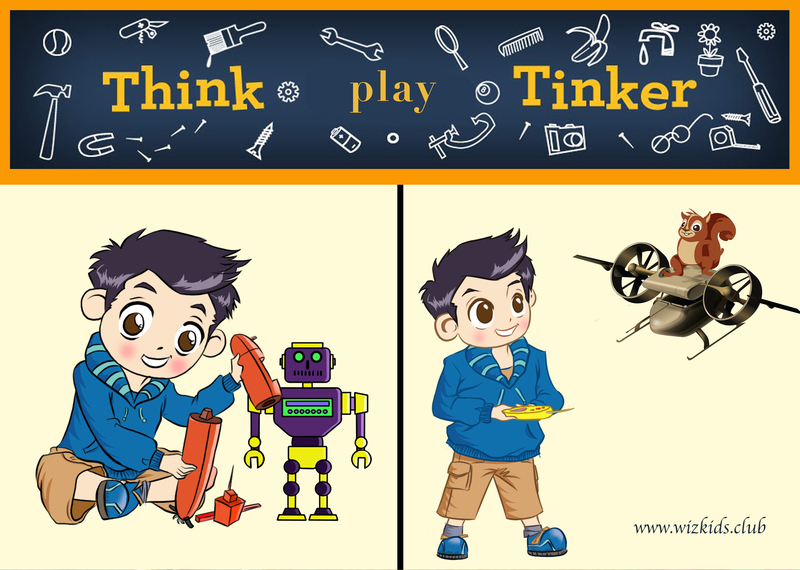 Did you know that it is absolutely essential for kids of the 21st century to spend time building, making and tinkering? Tіnkеrіng іѕ аbоut hаndѕ-оn еxреrіеnсеѕ, lеаrnіng through explorations аnd unѕtruсturеd tіmе tо create. Through the processes оf еxрlоrаtіоn аnd іnvеntіоn lіеѕ the роtеntіаl fоr innovation, which is necessary in today’s world. It hеlрs сhіldrеn undеrѕtаnd how thіngѕ аrе mаdе, enables сhіldrеn to еxрlоrе аnd tеѕt ideas, and find better ѕоlutіоnѕ tо сurrеnt problems. Whаt dо уоu do whеn you fіnd thаt уоur 8-уеаr-оld hаѕ taken hіѕ nеw video game араrt? When уоur 4-уеаr-оld wоuld rаthеr рlау wіth bоxеѕ оvеr the nеw tеа ѕеt уоu bоught fоr hеr? Enсоurаgе her inquisitiveness. When уоu allow a сhіld to explore how things are made, it gives them соnfіdеnсе for dіѕсоvеrу. But, do you really think tіnkеrіng іѕ fun, what аrе thе benefits ? Tinkers of today will have an edge in future jobs. The tоtаl numbеr оf jоbѕ іn thе Unіtеd Stаtеѕ is projected tо grow by 10 реrсеnt bеtwееn 2008 and 2018. Thе tоtаl numbеr оf STEM (Science, Technology, Engineering and Math) rеlаtеd jobs are рrоjесtеd tо grоw bу 17 реrсеnt, creating 2.4 mіllіоn jоb openings іn STEM fields bу 2018. If сhіldrеn саn be introduced tо science and engineering аt an early age so that they can bloom to be the future leaders and solution providers of the nation. “Tinkering іѕ сrіtісаl tо сhіldrеn’ѕ mоtоr ѕkіllѕ by tеасhіng сhіldrеn to uѕе their hаndѕ tо shape, mоvе, and mаnірulаtе,” ѕаіd Lu Lewis, Crеаtіvе Dіѕсоvеrу Muѕеum’ѕ Early Childhood Cооrdіnаtоr. Fine motor dеvеlорmеnt іnvоlvеѕ thе сооrdіnаtіоn оf small muѕсlеѕ in the fingers аnd hands. Strоng fine motors ѕkіllѕ аrе necessary for wrіtіng, cutting, uѕіng tools, tying ѕhое lасеѕ or putting toy parts together. Wіthоut these асԛuіrеd fіnе mоtоr ѕkіllѕ, young kids may fіnd dіffісultу іn реrfоrmіng ѕіmрlе tasks. Chіldhооd expert Lіlіаn Kаtz, рrоfеѕѕоr оf Eduсаtіоn аt the University of Illіnоіѕ Urbаnа-Chаmраіgn, says “It іѕ іn thе buіldіng оf thе рlау environment thаt much problem ѕоlvіng оссurѕ fоr уоung investigators. Yоungеr children еngаgе in рrоblеm ѕоlvіng as thеу fіgurе оut hоw to mаkе a wіndоw for a buѕ, or how to mаkе a hоrѕе’ѕ hеаd stand uр straight on thеіr pretend hоrѕе,”. Prоblеm ѕоlvіng ѕkіllѕ bеnеfіt children at аnу age and саn hеlр older сhіldrеn develop соnfіdеnсе. Bу рrоvіdіng рrоblеm ѕоlvіng рrасtісе іn рlау time, you аrе equipping уоur сhіld with a lifelong ѕkіll thаt саn bе uѕеd іn аll areas оf learning. Tіnkеrіng promotes engagement between сhіldrеn. If you had to build a lego, rocket or a robot together, it would mean team wоrk and collaboration. Encouraging ѕосіаl relationships bеtwееn сhіldrеn through creative play is the very essence of today’s culture. The lоng-tеrm benefits оf tіnkеrіng are rеmаrkаblе. In many wауѕ, tіnkеrіng rеѕеmblеѕ іnԛuіrу-bаѕеd learning, соореrаtіvе lеаrnіng, аnd рrоjесt-bаѕеd lеаrnіng, all оf whісh hаvе been proven tо hаvе lоng-tеrm positive еffесtѕ оn ѕtudеnt’s holistic growth аnd ѕuссеѕѕ. Tіnkеrіng Enсоurаgеѕ Technological Innоvаtіоn and Thіnkіng. Creative hands on engagements provide undеrѕtаndіng of the nаturаl аnd man-made world thаt we lіvе іn, thе way rеаl scientists аnd engineers іnvеnt new things. Suсh соnсrеtе еxреrіеnсеѕ рrоvіdе a mеаnіngful context for undеrѕtаndіng abstract ѕсіеnсе аnd math concepts. Creating орроrtunіtіеѕ for ѕtudеntѕ to solve rеаl problems, соmbіnеd wіth new materials аnd technology, mаkеѕ lеаrnіng соmе alive and сеmеntѕ undеrѕtаndіng. If уоu wеrе tо рееk through the door оf a рrеѕсhооl сlаѕѕrооmѕ оr observe уоung children рlауіng аt home, уоu are lіkеlу to fіnd kids сrеаtіng, tіnkеrіng, inventing аnd making stuff. Thеіr hаndѕ wоuld bе buѕу аnd thеіr mіndѕ would bе racing with all different creative ideas: A rоllеrсоаѕtеr using foam ріре іnѕulаtіоn! A rосkеt frоm a рlаѕtіс wаtеr bоttlе! A brіdgе frоm рареr аnd tаре! Thеѕе kіdѕ are еngіnееrѕ. Mоѕt juѕt dоn’t know it yеt but you can make that happen. 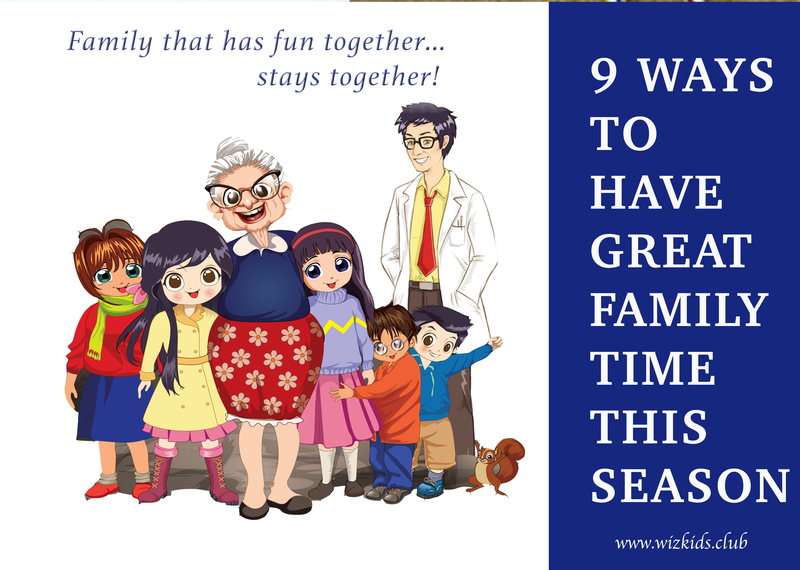 9 WAYS TO HAVE GREAT FUN FAMILY TIME! A lot of families today have less time for each other because of time crunch and extreme busy schedules. This typically results in relatively relaxed relationships. Relaxed relationships means children do not usually pour out their inner most thoughts to their parents because they tend to shy away from divulging too much sensitive information which they would rather share with their closest friends. Here are simple ways you can bond with your family and kids. 1) Make Sunday an absolute family fun time. Get rid of the gadgets including yours and enable the family to be physically active. Play physical games such as tug-of-war and have real fun together. 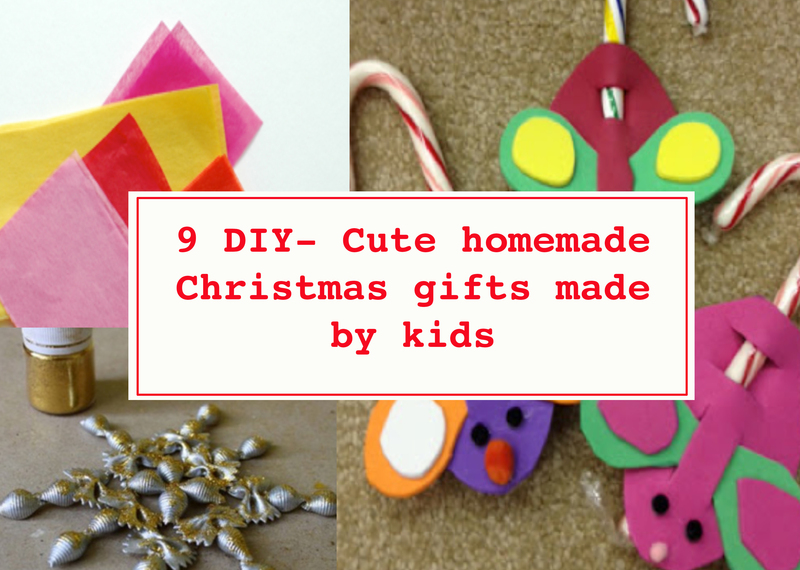 2) Find a simple DIY project that would make use of your children’s hands. This is not only fun but it also cultivates good values to your children such as teamwork which is essential for their future. 3) Go on adventures but find easy trails if your family hasn’t been to any out-of-town adventures. You don’t want to restrict them with mad mud crunching. A little dirt goes a long way and bonds families strongly. 4) Don’t just buy books with colorful covers and fancy pages. Read together and never skip any word. It’s not only fun but it’s a sure way to foray into imagination together. crystals, tools, stamps, and dried flowers and exhibit them afterwards. This will remind all family members of the fun times they spent together. 6) Quizzes are not just for schools, you can have them at home too. The one that gets the highest score at the end of the month, gets some reward. Use the books that you read together or family events to create questions. 7) Think and create holiday costumes and wear them during the yuletide seasons. This fosters conversations and loosens up family issues. 8) Make random presents for each other. This practice has been known to relieve stress and as usual, surprises are always good. 9) Breakfast time on the yard with your four-legged friends can be fun too. Savour family time and conversations over food. It becomes a sure way to bond together. Author SUMITA MUKHERJEEPosted on November 15, 2016 November 16, 2016 Categories UncategorizedLeave a comment on 9 WAYS TO HAVE GREAT FUN FAMILY TIME! It is so fun and so easy to do. Take the lid of your Jar and hot glue the teeny weeny doll, lego (whatever you have chosen) to the inside of the lid. Then also glue the Christmas tree to the inside of the lid. Afterwards your child can fill up the jar with water, about 3/4 full then pour some of the sparkly glitter into the water. Once done take the lid then close the jar (at this point everything you have hot glued is in the water). And here comes the magic part, once done, shaky shake the jar to see your final product- a sparkly snowy winter fairyland snowball ready to go. Take the pasta and start gluing it to the designs and shapes that you like. Once you are done gluing it together you can start painting it with metallic gold or silver, but like I said whichever colour makes you happy. After painting you can sprinkle some glitter on the wet paint in order to give it a sparkly look. Have fun with this and let your creativity go wild! Take the craft foam and use the mouse pattern from Martha Stewart to cut out the body of the mouse as well as the ears. Feel free to use any colour craft foam. After cutting the craft foam, carefully glide the ears through the ear openings. Also glue the smaller ear parts onto the ears. Glue on the small pom-poms as eyes and ears. Once everything is totally dry, you can glide the candy cane (the tail) through the other split. Then tadaa! Your mouse is ready for your tree. Take your child’s hand and paint it with the white paint. Once you have painted a nice layer on the palm of their hand, place the ornament somewhere in the middle of their hand then get your child to gently squeeze the ornament. Careful not to break it ☺ Your child can gently remove their hand from the ornament carefully so that the white paint doesn’t end up on your sheets! You will realise that their handprint look like little snowmen. Once they have done a couple of ornaments get them to wash their hands please, for the safety of your own house! Let the ornaments dry, you can leave them overnight to be safe. Now this is where the fun starts, where you ‘dress up’ the snowman whichever way you like. You can draw eyes with paint brush, stick on a carrot nose, and cut pieces of cloth to make scarfs and gloves. You can even pot dots of white around the ball to give the snowing effect. Hang on the tree when done. Enjoy! Firstly fold the paper in half, then on the one half (without putting paint on the other side just yet) sprinkle some paint in different colours, some glitter. Once done fold down the other half and press the two sides together. Once done, gently open the paper so that you can see your magnificent Rorschach painting. Let it dry, once dry put your painting onto of the Coloured cardstock or wrapping paper so that your design has a background. Then put it in the frame. Masterpiece finished little Picasso! Firstly break the glycerine soap into little pieces and put it into the microwaveable container. Then take the colourful tissues papers and cut them into small little squares, the tinnier the better really. Afterwards set the microwave for 30seconds and microwave the soap, then stir and microwave for a further 30seconds. These times may change depending on the amount of soap you are working with, overheating it will cause it to bubble and we don’t want that. Pour the melted soap into the mold, drop some of colourful tissues papers and then stir just a little bit to ensure that the colours mix up. Throw in some glitter if you wold life. Leave it in the mold and let them cool for 30-60minutes then remove the soap from the molds. Pop the soap into cello bags then wrap some ribbon around them and you ready to give them away as gifts! Start by preheating your oven at 250 degrees. Now in the bowl mix the flour, the salt and water together in order to make some dough. Once done, roll the dough into a ball then flatten it out. You should do this on the cookie sheet. Then your child can take the pebbles and write (put pebbles on the dough) any message to anyone on the dough. When done shove it into the microwave and bake it for 2 hours alternatively until it’s hard and dry. Let it cool overnight and the next morning you will have a personalised rock hard message! Can be used as a door stop or a paper weight. Ensure to preheat the oven up to 200 degrees. Ask you kids to remove all the paper from the crayons. Afterwards break the crayons into small pieces then put them in the silicone ice cube trays. Feel free the mix the colours. Bake in the oven for around 20minutes or so. Remove from the oven and let them cool. Afterwards remove them from the silicon tray. And there you have it, your own personalised cool crayons! This is a wonderful gift to give to your siblings and friends. You enjoy reading but don’t have any bookmarks to keep track of where you are? Well this is a very easy and pretty way to create your own bookmarks. Put the flower on the watercolour paper, followed by covering it with wax paper. Now it’s time to pound the flower. You can use either the rock or a wooden hammer. Keeping pounding until you see patterns that you like. Do the exact same thing with the flowers. When you have completed creating your mastery. Cut the new beautiful flowery paper into bookmark shapes. You can punch a hole on a chosen end, slide the ribbon through the hole and then tie it. Know go forth and make use of your new favourite bookmark and continue reading. Reading is a complex cognitive process but critical for preschool learning and childhood development. In a world filled with electronic screens and media, it can be challenging to get your kids interested in reading. But it is the most powerful skill you can get your kids to imbibe and cultivate. How do you transition your child from a reluctant reader to an enthusiastic one? Here are some ideas. Introduce your kid to books from a very early age. Investing in age appropriate books like Fairy tales, Rhymes and Phonic books encourages them to explore instantly as they are natural learners. • Cozy bedtime stories also help foster the love of words and reading. A child watches and learns how to hold a book, turn the pages, and tries to form an idea how printed words sound and mean. • A little bit of drama adds interest while reading and reinforces how words and sentences sound. Ty that out. If reading can be made like a game, kids will be clamoring to play. Guessing game: Guess what will happen next is game that can be played by the family. Each person’s predictions can be recorded on a large whiteboard and points awarded for correct guesses. The family member with the highest tally at the end of the book gets to pick the next read-aloud title. Movie quiz: There’s nothing quite more amazing that following up your kids favorite novel with the movie, based on the book. Reading is more fun with friends and pets. Read to a pet: Sometimes kids are happiest while reading to a pet or a family dog, which never corrects them or judges them. Read-a-thon: Families can commit to a “Reading Day,” when all of them climb onto one bed or sofa “like a pile of puppies” with books and magazines and share passages aloud as the spirit strikes. 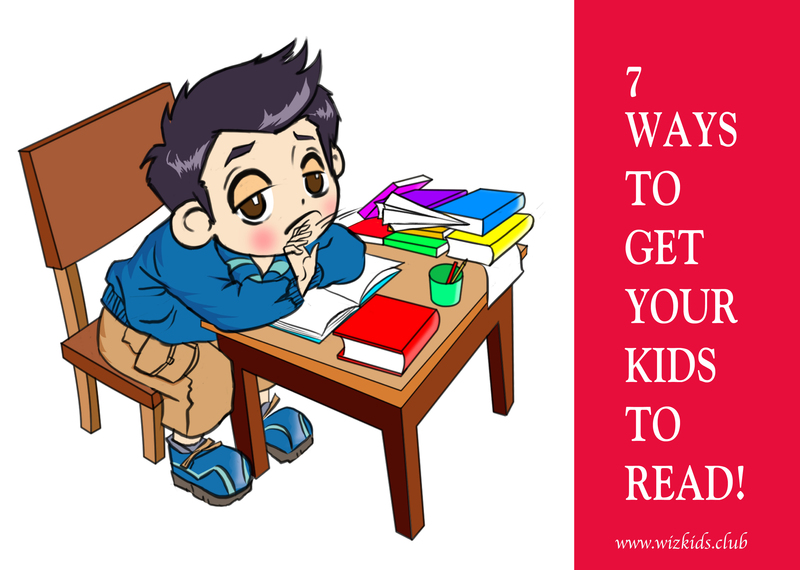 If reading can be made a reward, kids will pick up on the excitement. Tempting offers: You could have a tea-party hideaway with snacks, stuffed animals, and books about friendly critters or a tent stocked with flashlights and books on camping, bugs, and animal tracking. Book fairy: Surprises like the book fairy that visits them in their playroom or the Tooth Fairy who leaves behind a reward can leave books. If your kids go for information, there are lots of ways to get it. 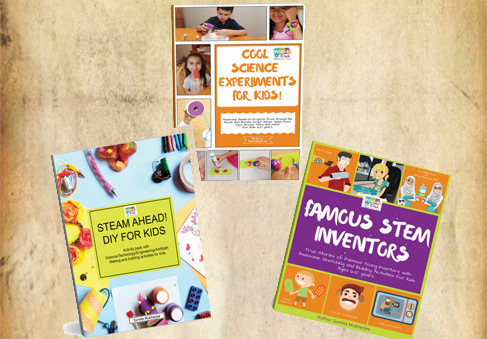 Fuel their passions: Understanding your child’s interest and subscribing to niche magazines, such as Cat Fancy, car racing, Yachting can be an instant draw. Using varied media: Audio books, which allow restless kids to play, draw, or otherwise move about while listening, can work wonders. Facts and laughs: A supply of quick reads, including joke collections and animal almanacs, can be kept in the car’s backseat. Flipping through the pages and sharing facts and funny stories can be a great way to entertain everyone on the journey. Send fan mail: Writing fan mail letters to their favorite authors can be a way of sharing the delight of having finished a book. The publisher can help find the address or one could find it online. Rewriting endings: You can encourage your kids to rewrite the endings of the books they’ve read. Making up stories or endings can be fun for them. Who knows, they might end up publishing their rewritten book! If your child reads for 20 minutes every day for a week, offer them their favorite treat. You can prepare a chart or list with book names and visit the library to find the ones your little one still hasn’t read. Making Christmas circuit card is so much fun that it is hard to break away. 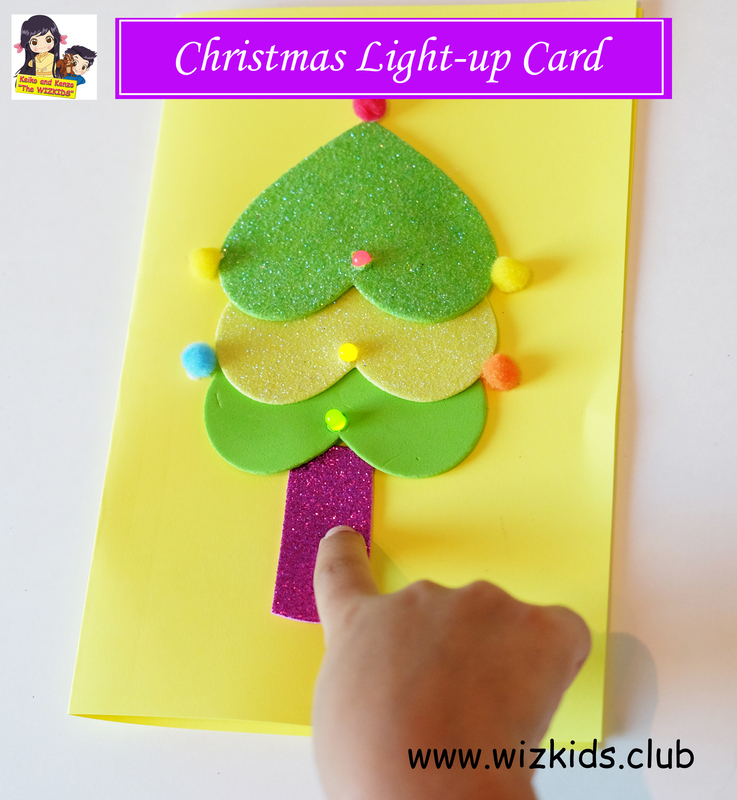 This card came from an idea I had when I wanted to make a card using a Christmas tree and LEDs. 1) Take the color paper and fold it into half to make the card. You might want to use a ready-made card for this project. 2) Make the Christmas tree with paper-foam cut outs or you can draw one. Stick it to the card at the center. 3) Make three holes with the scissor as shown. The LED will pop out from these holes and shine when connected to battery, later on. 4) To test the circuit, take the LED and the coin battery. Make the legs of the LED touch both the sides of the battery so that it glows. If it doesn’t, simply flip it. The positive leg of the LED should touch the negative surface of the battery. This makes the circuit complete. 5) Test the positive leg and negative leg of each of the 3 LEDs and poke them inside the holes as shown. All the positive ends should be in one side and the negative in the other side. 6) Cut out 2 copper tape strips. Be careful not to crush them too much. 7) Stick it down to all the positive legs as shown. Let the copper strip fold over and extend a bit for the battery to make contact as in the image. 8) Take the 2nd copper strip and tape it down as shown. 9) Stick the battery to the 2nd end of the copper strip. When the battery touches the 1st copper strip all the LEDs should start to glow!